Riders and support members fly from Milwaukee to the East Coast one to two days in advance of the ride. Over the last few years riders have spent the day(s) before the ride reassembling and preparing their bikes and/or sightseeing in New York City. 2016 will be the first year the Wisconsin Riders will be riding out of Philadelphia which will give the group a chance to explore a new city before the ride. Until 2013 the bikes were shipped to New Jersey where they had to be completely reassembled. In 2013, through a joint venture with the Kettle Moraine Fraternal Order of Police, a semi-custom trailer was purchased to transport the bikes and other equipment. Rider Bill Birkholz and his wife Gay (parents of fallen Fond du Lac Officer Craig Birkholz) have generously given their time and patience to drive the trailer to New Jersey. Before the trailer departs for New Jersey the riders attend a Send Off Ceremony. The 2014 Ceremony was held at the Town of Brookfield Police Department. Riders had a chance to meet the co-workers, friends and family of Officer Don Bishop who died in the line of duty in 2013. 2016 marks the first year the Wisconsin Riders will be riding from Philadelphia, Pennsylvania to Washington D.C. This change comes as we join Chapter IX of the Police Unity Tour. On previous rides, the Wisconsin Riders were part of Chapter I from New Jersey. To many the idea of spending four days riding a bike over 300 miles sounds like a daunting task. Although it can be exhausting, uncomfortable and at times seemingly unbearable, it cannot come close to the pain and sacrifices of the fallen officers and their survivors. When riders struggle it only takes a moment of reflection in order to be inspired to pedal harder or just a little bit longer. During the ride riders will spend anywhere from four to seven hours "in the saddle" (on their bike). The ride typically begins each day at 7 a.m. and ends in the late afternoon. Depending on the route riders typically ride anywhere from 15 to 30 miles between breaks with a morning break, lunch break and afternoon break. Each break lasts 15 to 30 minutes and gives the group a chance to eat, rehydrate and use the portable restrooms. Riders typically ride two by two but depending on the route are often in a much larger, less organized pack. The pace of the ride depends on the riders position in the group (front, middle, back), the route and road conditions, but can range from 9-10 m.p.h. to 19-20 m.p.h. with it averaging out to about 11-13 m.p.h. Proper equipment, well padded bike shorts, chamois cream, good nutrition and plenty of liquids can help but at the end of the day, after burning over 6,000 calories, everyone is exhausted. After completing the ride however, it's nearly impossible to not want to immediately sign up to ride the next year. 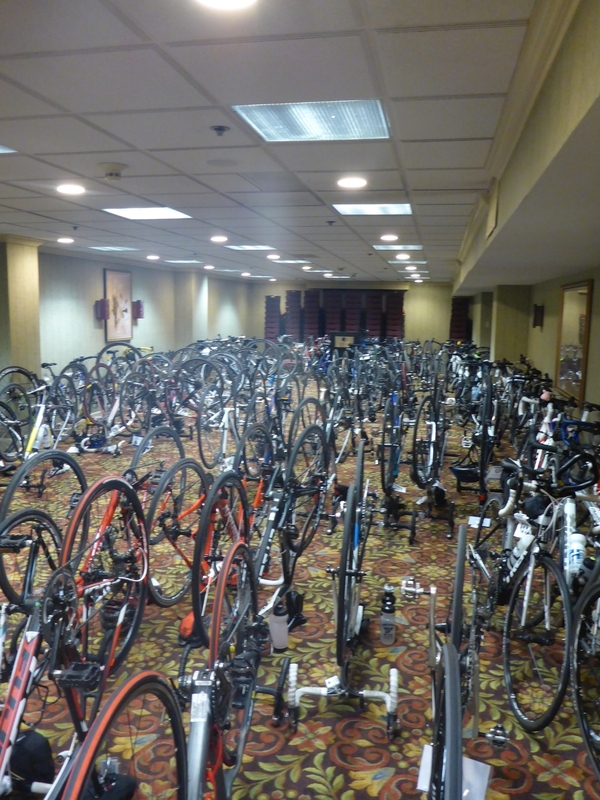 Getting 1,800 riders over 300 miles requires a lot of work to say the least. 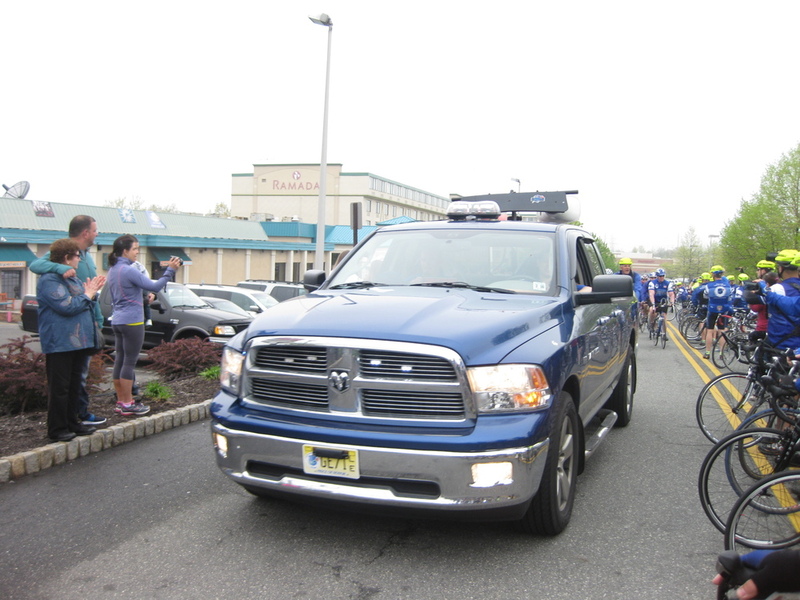 The ride is escorted by a caravan of support vehicles and dozens of police motorcycles. The motors shut down the entire route ensuring rider safety and allowing the riders to pass through intersections uninterrupted. This can sometimes take up to twenty minutes for the entire ride to pass through an intersection. Trailing the riders are support and maintenance vehicles that can pick up riders and make repairs or fix flats as needed. Once the ride arrives at a break location they are greeted by support team members with water, Gatorade, snacks and sandwiches as well as by hundreds of portable restrooms. Upon reaching their destination for the day, riders head to their hotels, store their bikes and refuel at dinner. 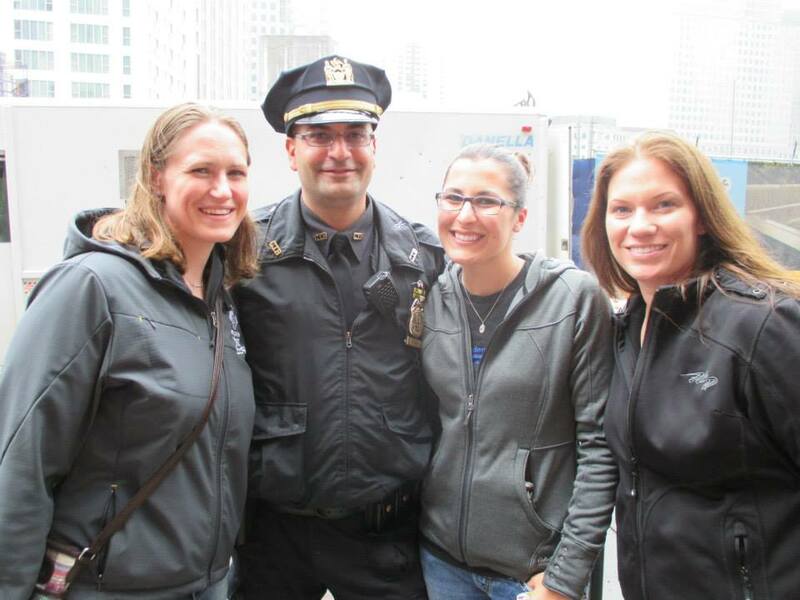 The support team members and Police Unity Tour Staff work tirelessly to ensure everything goes smoothly. Without them the ride would not be a success. On the last day of the ride, riders from all chapters of the Unity Tour meet at R.F.K. Stadium just outside of Washington D.C.. Together, the nearly 2,00 riders head into D.C., passing the Capitol and eventually arriving at the National Law Enforcement Officers Memorial. Riders are greeted at the memorial by hundreds of friends, family members, law enforcement officers and survivors. The riders and motors wind through the walls of the memorial before reuniting with their loved ones and survivors. Upon reaching the memorial the Wisconsin Riders meet with the surviving family members of the officer who they rode for. Each rider presents the memorial bracelet they wore during the ride to the officer's survivors. The arrival at the memorial is undoubtedly one of the most emotional moments of the ride for everyone involved. The arrival ends with a short ceremony led by Unity Tour organizers in which a check is presented to the National Law Enforcement Memorial. In 2014 the Unity Tour raised nearly 1.9 million for the National Law Enforcement Officers Memorial. After a day of rest the Wisconsin Riders attend the candlelight vigil at the National Law Enforcement Officers Memorial. During the vigil every name that was added to the National Law Enforcement Officers Memorial is read aloud. In 2014, 286 names were added to the memorial.